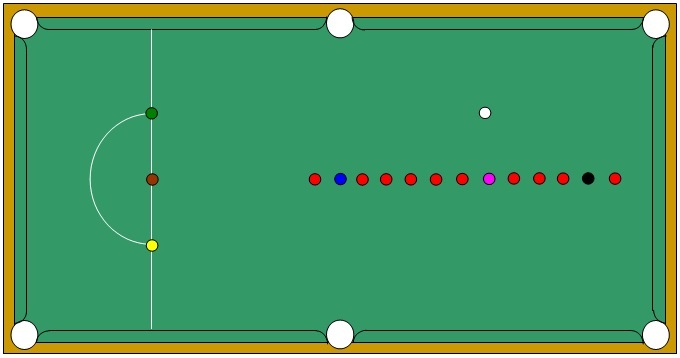 As shown, evenly line up the fifteen reds between the black and the brown spots. 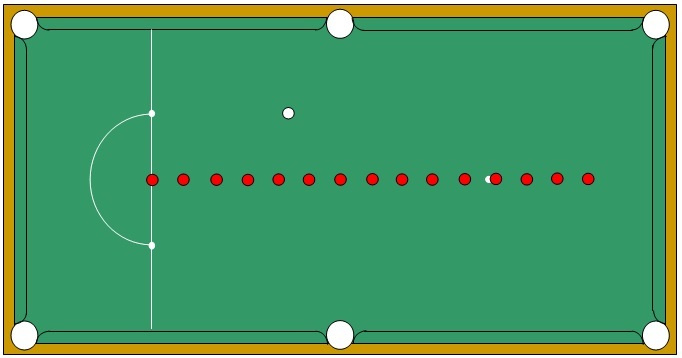 With the cue ball placed for the first shot only, clear the reds. Have six goes and record best score achieved. 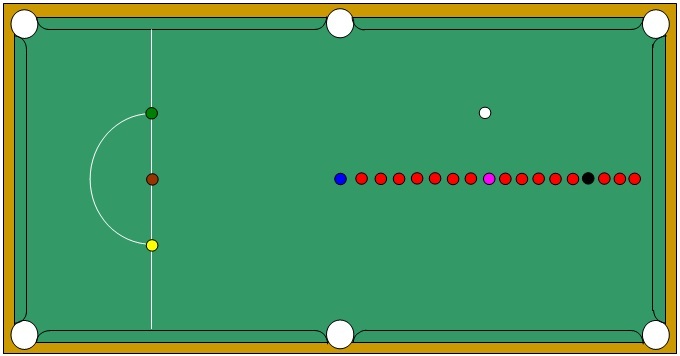 With the cue ball placed for the first shot only and making sure to not pot the same colour in a row, make a 100 break. Have six goes and record best break achieved. As shown, spot the black and position a red half way between the pink and black spots and another half way between the black and top cushion. 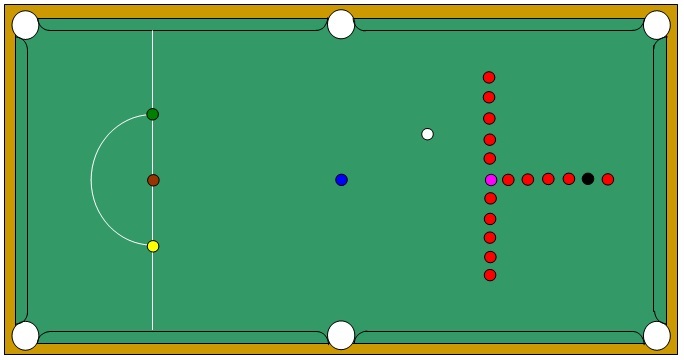 Placing the cue-ball behind a red to start and replacing both the reds and black when potted, pot 15 reds, 15 blacks in sequence. As shown, spot the colours and evenly line up ten reds. 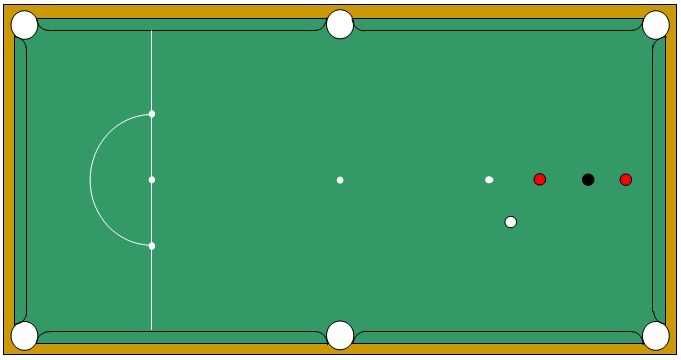 With the cue ball placed for the first shot only, clear the table. With the colours spotted, spread six reds around the blue, pink and black. As shown, spot the colours and evenly line up fifteen reds. As shown, spot the colours and evenly line up five reds each side of the pink and five reds below the pink. Spot the colours, then as shown evenly line up five reds each side of the pink spot and five reds below the pink spot. 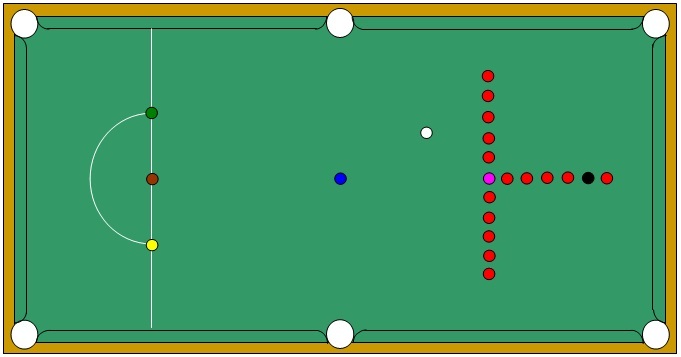 With the cue ball placed for the first shot only, clear the table taking each red with a blue or baulk colour.